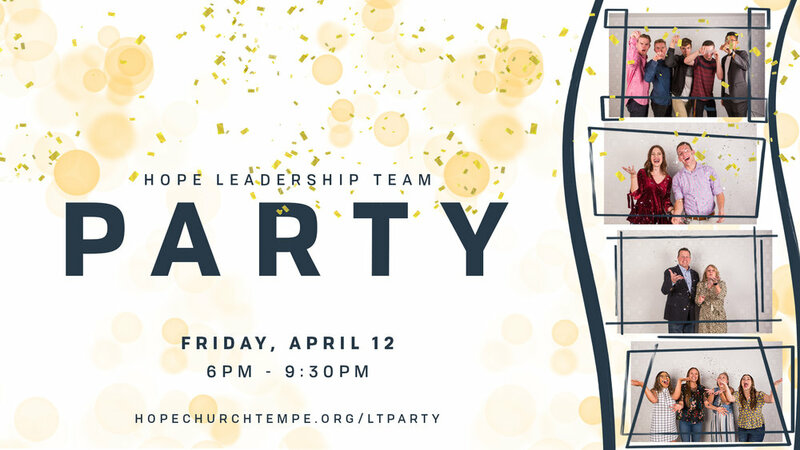 Hope Leadership Team - are you ready to party this Friday?? It's been an amazing year and we can't thank you enough for serving like a boss on our different teams. You're invited to join us at Jaycee Park this Friday, April 12th from 6pm - 9:30pm! We're having a church fam BBQ, and the theme is: "Take Me Out to the Ballgame!" We're going to have ballpark food and some competitions, so come ready to play!